My paintings are nature inspired with vibrant colors and a focus on water. Paintings include both landscapes and abstract work. My art is inspired by the Maine coast. If you are looking for a print of one of my paintings, look no further! If there is a painting you like but do not see a print, please email me and I will be happy to get it made up for you. This is a unique line of clothing made from my paintings. 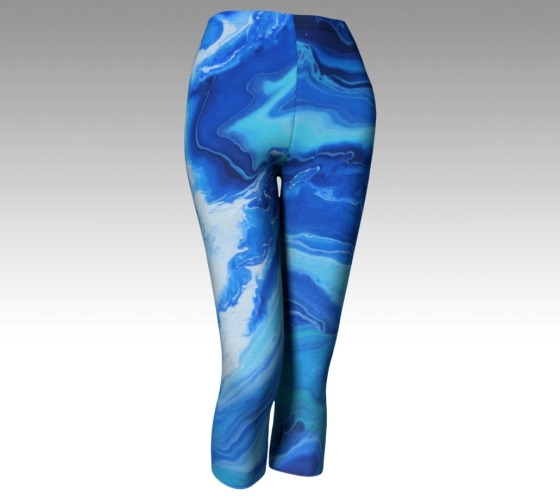 If you are looking for one of a kind leggings, tops or skirts, check out my Wearable Art. Baby and Youth leggings are a popular item!